Offering protection 24/7 our small lightweight clip on portable Don't Bite Me Mosquito repeller uses low audio frequency waves (5.5KHZ) that will drive away mosquitoes within 30 sq meters. 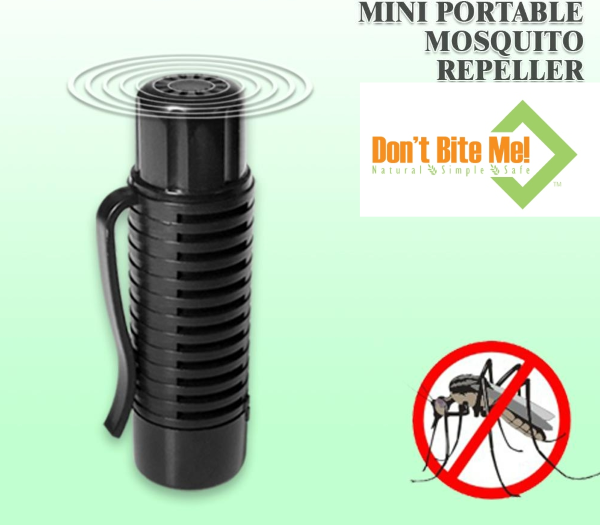 Environmentaly friendly the Don't Bite Me Mosquito repeller is perfect for camping, picnics, bbq's, travelling, hiking and outdoor sports. Dimensions: 3" x 0.8" or (7.5 cm x 2 cm). Powered by and AA 1.5 v battery (not included). Please note: Do not hold close to your ear as the device does make a noise.